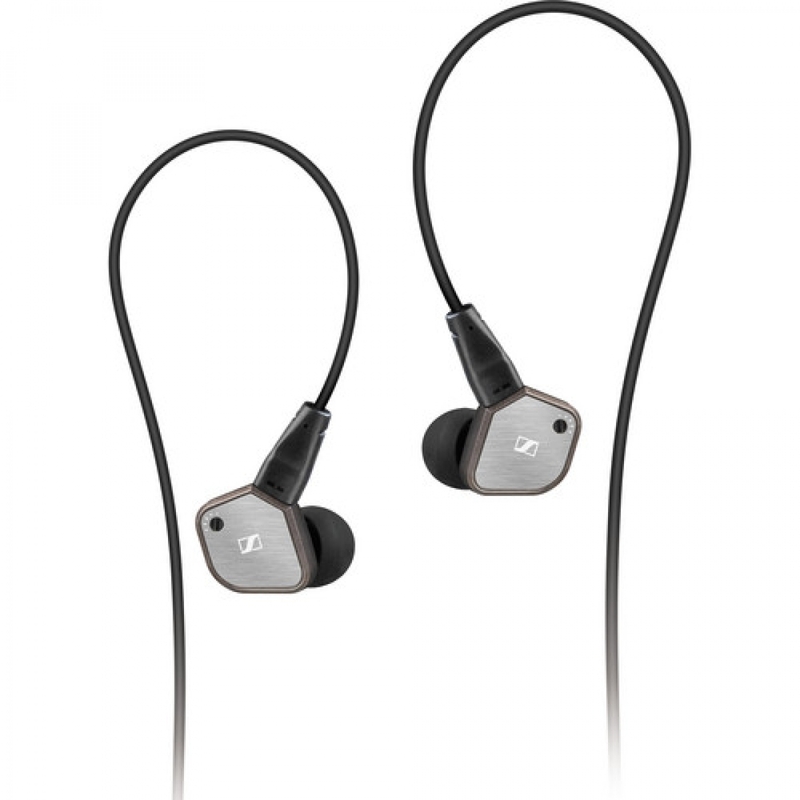 The IE 80 In-Ear Stereo Headphones from Sennheiser provide high-grade audio in a stylish and customizable package. The compact housings contain dynamic drivers to provide warm, natural audio with a wide frequency response and excellent efficiency. Each earpiece features Sennheiser&apos;s unique continuously variable sound tuning control, which allows you to precisely adjust the bass response according to your preferences. The headphones come with 4 different types of eartips, each with multiple sizes so you can find the perfect in-ear fit. A proper fit creates a seal in the ear to reduce ambient noise by as much as 26dB. This also helps to improve bass response and allows you to listen at lower volume levels without missing out on the details in your music. Optional flexible earhooks are included for a secure fit. The detachable cable provides plenty of slack, and can also be looped around the ears for additional stability. The headphones can be worn in a traditional manner as well. An included cable clip lets you attach the cable to your clothing to minimize snags, tangles, and friction noise. The 3.5mm stereo mini plug has angled strain relief to provide lasting durability. A cleaning tool and hardshell storage case are included to keep your headphones in great condition for years of enjoyment.